LET’S GET ALL OF OUR YOUTH PRACTICING KINDNESS, GOODNESS & SERVICE AS PART OF THEIR EDUCATION! Here are fabulous curriculums created by your kindness leaders. Caring Common Project: Develop and implement action plans for middle schools and high schools that promote caring, and respect, based on survey data and research based strategies. Think Kindness: Students are challenged to document 5,000 acts of kindness in 15 days. Anything from opening a door, picking up a pen, or even sharing a smile, no act is too small to document. Within hours, each school notices an explosion of Kindness within their school. Challenge Day: The Challenge Day Assembly is a 2-hour experiential program for the whole school that increases student awareness and empathy. Their vision is that every child lives in a world where they feel safe, loved and celebrated. Pay It Forward Foundation: Young Readers Edition of Pay It Forward provides a resource for teachers and other educators to use as a teaching tool for class. The Great Kindness Challenge: Choosing from a 50 item checklist, the challenge’s mission is to perform as many acts of kindness as possible. 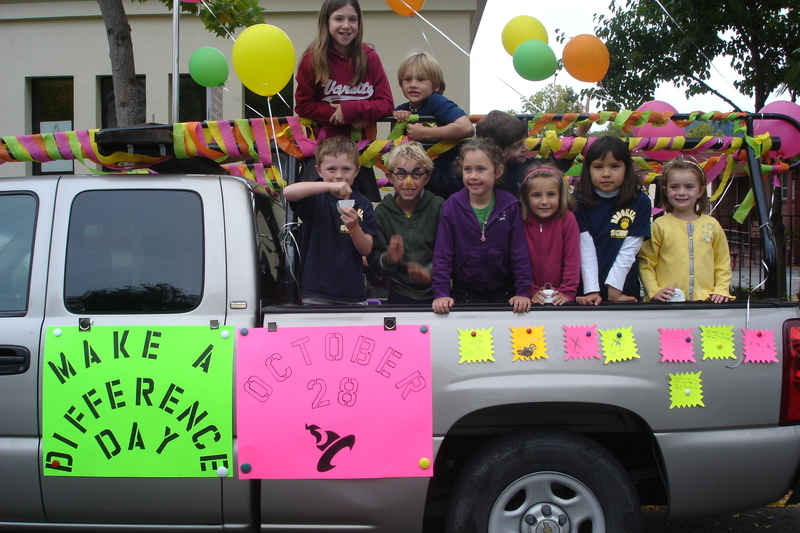 Impliment a kindness curriculum on your campus and become a kindness certified school district! Random Acts Of Kindness: Downloadable K-12 lesson plans including project ideas, how to lead a kindness project or form a kindness club. Rooted in social emotional learning (SEL), the curriculum features developmentally appropriate, standards-aligned lessons. Don’t expect kindness in schools… teach it! The Be Kind Project: Providing innovative and culturally relevant youth development programs that are essential for effective social, emotional, and academic learning. Their high-energy, fun provides a positive approach to behavior and learning and equips students with a solid framework to build healthy interpersonal relationship skills, improve academic results, and form enduring values. Learning To Give: Nonprofit organization that provides more than 1,400 free State-certified lesson plans for K-12 that teach giving, civic engagement and character through service-learning Classroom lesson plans creatively infuse philanthropy into K-12 academic content and serve as a foundation for a student-centered approach. Educators report that philanthropy education increases their students’ interest and involvement in service. GenerationON: You will find the resources & programs offered to ignite the power and potential of young people to become leaders and problem-solvers, successful students and active community members through service. 911day.org: Through teacher guides, lessons and tool kits, individuals pledge to perform at least one good deed, or another service activity on 9/11 each year. lifevestinside.com: LVI curriculum is based on research conducted with over 200 educational stakeholders and includes units of Study from Kindergarten through Fifth grade. It is based in the awareness that children can effect real and positive change in the people around them, simply by ‘living kindness:’ by embodying empathy and compassion in our day-to-day lives. The curriculum aligns with the Common Core State Standards. Club Kindness: 22 day Challenge. A tool for parents & teachers to work with children ages 6-12. Students support each other in taking the 22 Day Challenge. It is an opportunity to make age appropriate Acts of Kindness fun for kids! Compassion Games: Survival of the Kindest. In the five annual Compassion Games, competition becomes coopetition as teams and individuals challenge one another to strive together to make our planet a better place to live through community service, acts of kindness, and raising monies for local causes. The Compassion Games offers fun and creative ways to ignite and catalyze compassionate action in communities around the world. Do Good Together: 30 day Kindness Challenge, especially for families. Downloadable list full of creative – and simple – daily acts of kindness. PLEASE let us know if you are an organization/individual that has a kindness curriculum and we’ll add you to this list! Simplest way is to engage in a 15 minute classroom discussion exploring what it means to be of service. Each student is asked to perform a simple act of kindness. Follow-up can include a class conversation and every good deed and act of service can be written down and displayed somewhere at school, where everyone can see what has been accomplished. It’s that simple. Or, do a 30 minute lesson that includes some discussion around being of service and making a difference and then kids do some sort of art project such as making cards for members of the community, whether it be the elders, civic service employees, those in hospitals, local shop owners, or people that don’t get acknowledge consistently. For those classes who have a parent volunteer and can or want to take this on more fully, we have created a very simple “Community Service” curriculum which is aligned with the common core standards (Three 20 minute lessons) that culminates in some sort of service project. You can follow the lesson plans provided or create your own. We provide links and books and resources and ideas.